I’ve known the Gallagher sisters since 2008, when I first helped the oldest, Sheri, showcase her musical talents as the drummer in the Jason Ager Band with promotional photos. Since then, I have had the privilege to photograph and develop a positive working relationship with all three. 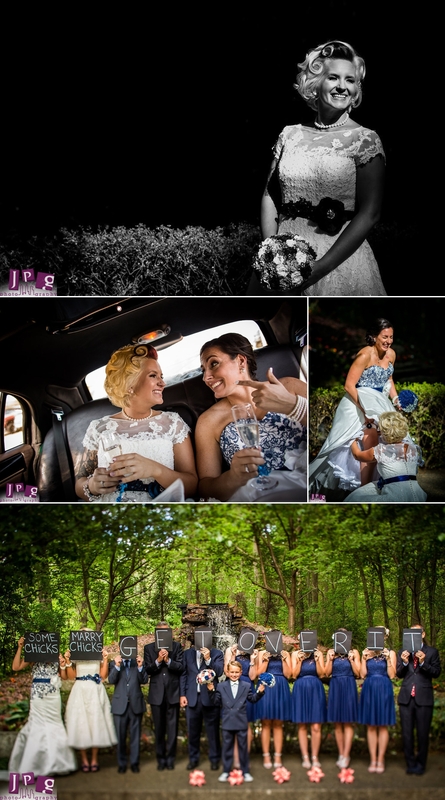 Cultivating meaningful and lasting bonds with clients is a part of the job that JPG Photography truly savors. 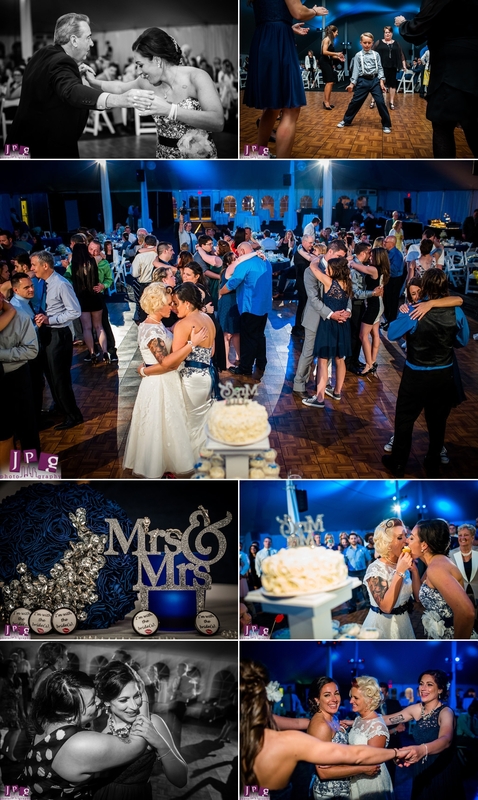 After seven years, photographing the middle sister, Kelli, exchange vows with her beautiful wife Kristen was a personally touching highlight of the year. They had a beautiful, sunny day in mid-May. Perfect for a good old fashioned wedding, right? Sure, except these ladies are anything and everything but typical. 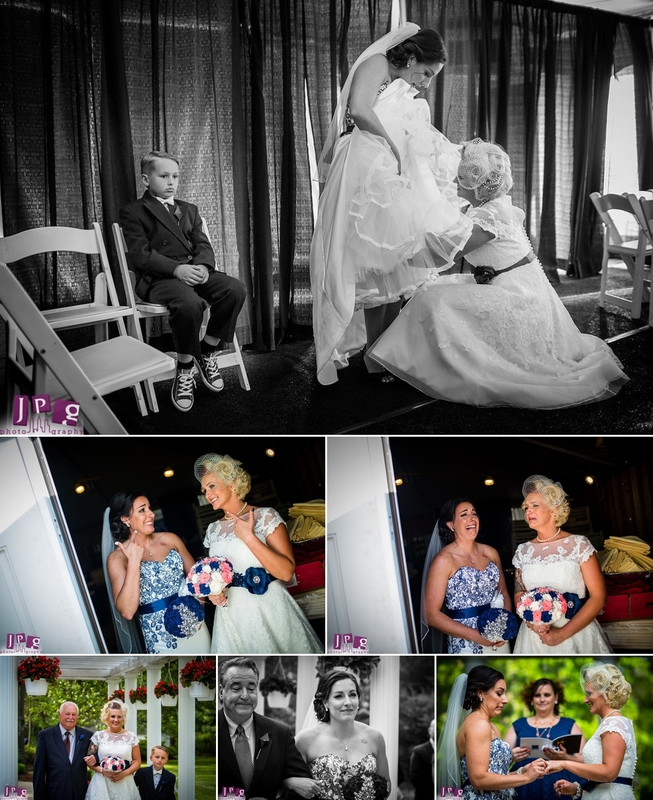 Kristen sported a rad rockabilly style for her trip down the aisle, and both brides donned dresses with pops of blue. They are funky, quirky, confident, and strong. We were compelled to capture their relationship as authentically as possible. That meant opting out of the Spring sun and flowers in exchange for dumbbells and pull up bars. It was time to go to the gym. Some photographers would have been nervous to give up outdoor portraits on such a nice day, but we couldn’t have been more excited by the opportunity to make some kickass images. Brides and grooms-to-be, take this advice: Trust crazy ideas, and give your photographer room to get creative. 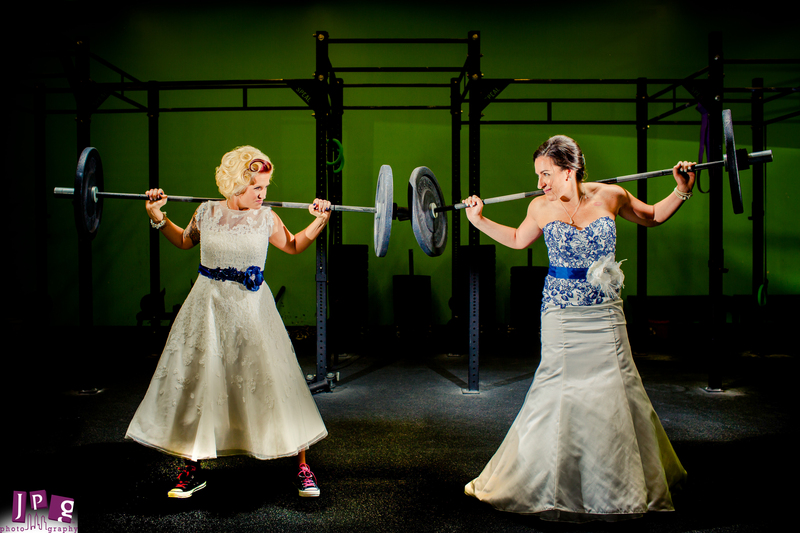 Our brides, who both do CrossFit, were totally on board. They playfully laughed their way through the session with 70 pounds of iron on their shoulders and graffiti coloring the background. The photos really pack a punch! One of my favorite moments of the day was right before the ceremony. Kristen was helping Kelli with her dress, and I captured an honest moment of L.J., Kristen’s young son, nervously and quietly waiting for the ceremony (and perhaps the next chapter of his life) to begin, not knowing what to do. Shortly after, he helped walk his mom down the aisle to his new step-mom, and even gave a toast during the nuptials! 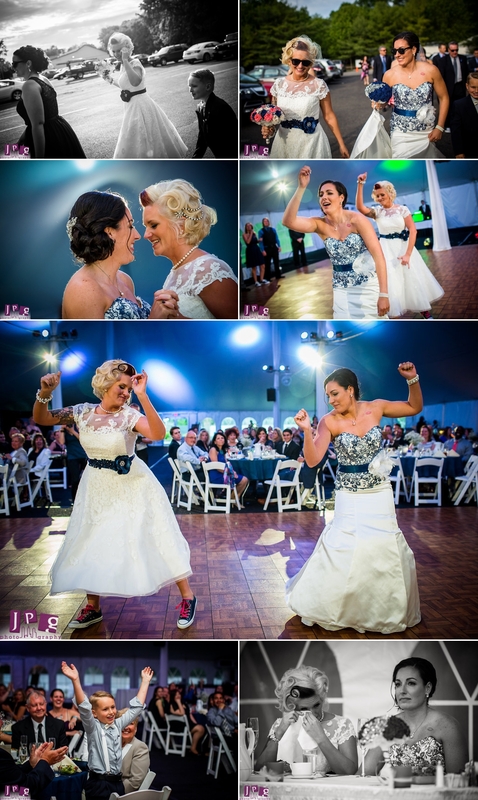 During their first dance at the reception, Kristen and Kelli performed a traditional slow dance, but quickly switched to a crazy and fast-paced choreographed song that showed off their goofy and fun sides. 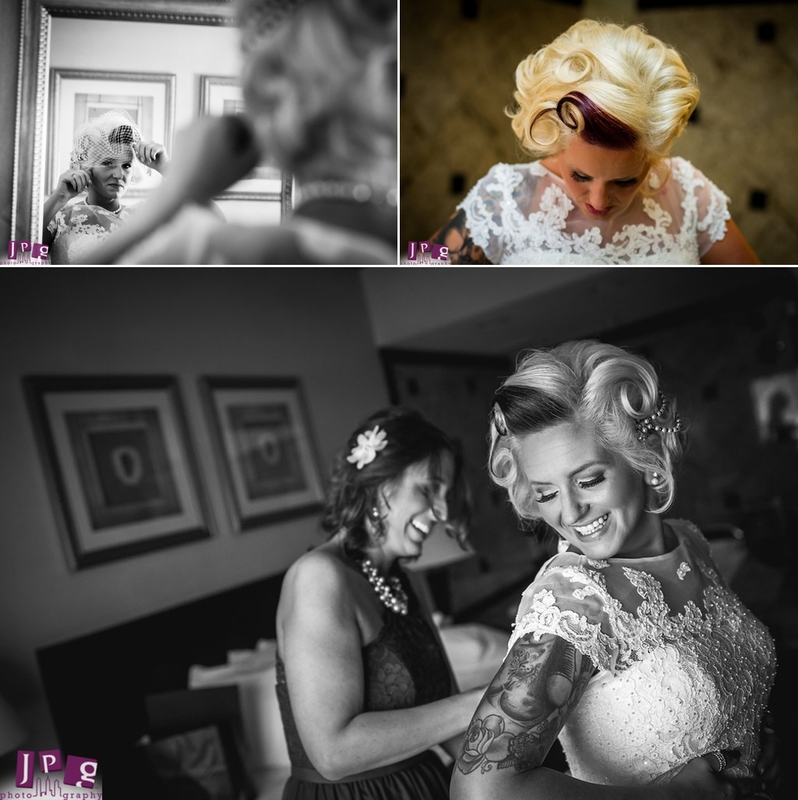 During the night, Stacey told me that she couldn’t help but feel emotionally involved in their big day as well, as Kristen in her dress reminded her of a younger version of her grandmother. The day was emotional and beautiful for everyone involved, and it’s undoubtedly one I’m going to remember for a long time. Kelli and Kristen are rightfully proud and confident in who they are. They exude a beautiful strength which I greatly admire, while also showing endless tenderness towards each other. They are great role models for anyone aspiring for a successful relationship, and I’m so glad JPG was a part of their union. I can’t wait to see what’s next for the family, and hope that we can share in the next milestone.